Environment MEPs will today vote on a new food law that changes how pesticides, GMOs and food additives are licensed for use within the bloc as legislators up the ante on agri-chemicals. The latest measures follow on from a provisional deal agreed by EU negotiators recently which limits the cadmium content of phosphate fertilisers to 60mg/kg - part of a new law intended to boost the use of organic fertilisers. MEPs had pushed for a lower limit of 20mg/kg, which is still in the deal, but only as a voluntary target. The moves are part of the EU's bid to increase its consumer protection credentials ahead of next May's European elections. 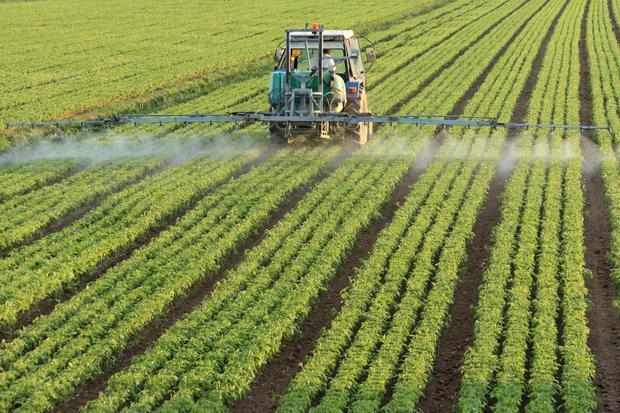 Prompted by the drawn-out battle over the reauthorisation of weed-killer glyphosate, the Commission pledged earlier this year to be more open about the data its food safety and chemicals agencies use in their risk assessments. But Green MEPs argue that the current regulations hand even more power to agri-chemical producers, as it allows them to hold back scientific studies that contain trade secrets. There are still two European court cases pending on access to glyphosate studies. Alarm bells have already been sounded by the farm organisations over the changes to cadmium content in phosphates. EU farmers' group Copa-Cogeca said the lower cadmium limit could lead to a spike in fertiliser prices, as sources of low-cadmium phosphate are limited (mainly to Russia) and the technology to remove excess cadmium is not yet available on a commercial scale. Fertiliser is the second-largest expenditure on Irish farms, with prices rising at twice the rate of other farm costs, according to the IFA. Meanwhile, an EU ban on chlorothalonil, the active ingredient in the popular fungicide Bravo, still hangs in the balance. Developments are being closely watched by the Irish tillage sector, with Teagasc warning that a ban on chlorothalonil would devastate the tillage sector, reducing net margins for wheat and barley growers by at least 50pc. Ireland, the UK, Belgium and the Netherlands, the bloc's major users of chlorothalonil are lobbying to keep it on the market. However, the EU's food safety agency claims the chemical is "very toxic", even fatal, if inhaled, and has been known to cause tumours in rats. No date has yet been set for talks on a proposed chlorothalonil ban after member states failed to reach an agreement last month. Also in Brussels, EU trade officials have completed their review of long-running anti-dumping duties on Russian ammonium nitrate fertilisers, which have been in place since 1994. It is still unclear whether the duties will be scrapped.